You need to stop buying new bottles of dish detergent and follow this method. 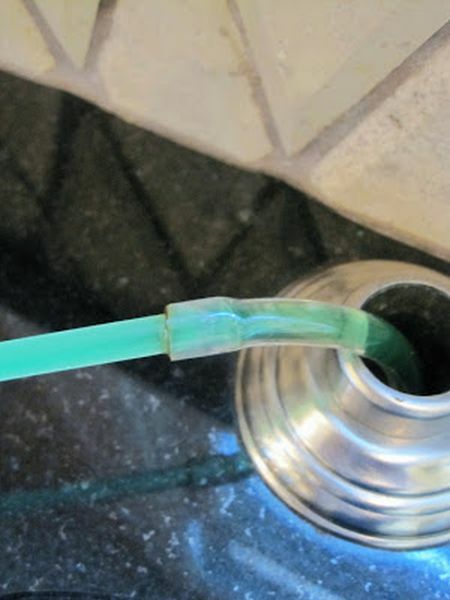 With this method you buy a large bottle of the detergent, then you attach plastic tubing and a pump to it to make your life way easier. You'll thank yourself later. 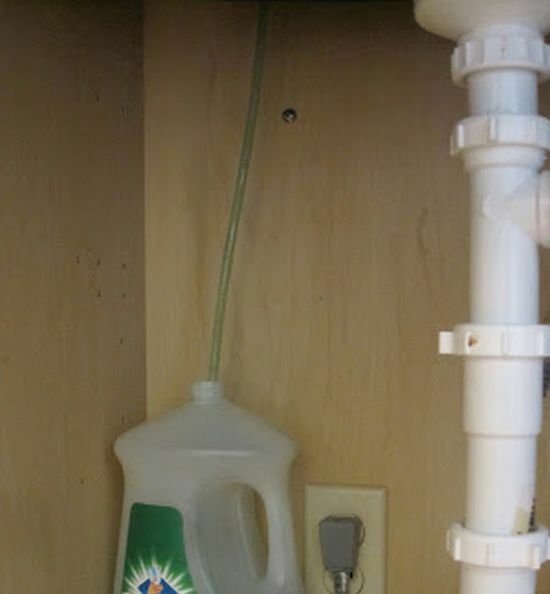 And drill a hole beside my sink? Why not buy a big bottle and refill a small one every time it gets empty?